Properties in Little Bay average 4.6 out of 5 stars. Property 7: ~ Kaka Cottage ~ Little Bay - Bookabach Best Eco Friendly Bronze 2015! Property 9: Stunning ocean views, hidden gem close to beach. Very private and quiet. 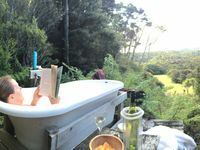 Property 29: Waitete Bay Beach Retreat - NICE! Property 45: Arani - chalet with island views. Property 46: Modern Holiday Home with everything. Property 49: Seas The Day. Modern family bach. 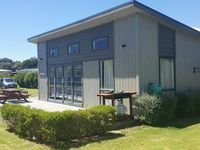 Property 50: Whare iti - couples studio, amazing views. A great spot, very quiet but handy to everything in the area. Enjoyed our stay despite the wet weather.